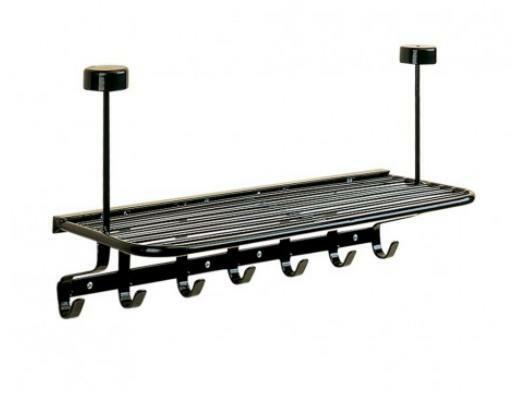 The Stubbs Hat & Coat Organiser provides stylish design for the house and tack room. Incorporates seven coat hooks, two raised hat racks and a generous shelf for other hats, gloves etc. Strong steel construction with black Stubbyfine coating. There are currently no questions for Stubbs Hat & Coat Organiser - be the first to ask one!